Crowell & Moring's Litigation Forecast 2019. Arthur (Art) Beeman is a partner in the San Francisco office of Crowell & Moring. He focuses on the trial and management of complex intellectual property and commercial litigation and has extensive experience handling matters in the telecommunications, internet, software, hardware, medical device, and construction machinery industries. Art's cases have involved cutting-edge legal issues in patent, trademark, trade secret, and copyright law. An accomplished trial lawyer, Art has successfully represented his clients over the years in numerous "bet-the-company" disputes. Nationally recognized by numerous legal publications for his courtroom achievements, Art has tried more than 30 cases to jury verdict in venues throughout the United States including: New York; Boston; Chicago; Portland, Oregon; San Francisco; Cleveland; Minneapolis; Billings, Montana; and Lexington, Kentucky. As lead trial counsel, he obtained a $47 million jury verdict in a patent infringement dispute for the inventor of a shock hazard protection device, a defense jury verdict for a Terex subsidiary in a patent infringement case, an $8.5 million jury verdict, plus an award of attorneys’ fees and costs, for CollegeNET in a patent infringement and Lanham Act case, and a defense jury verdict for a French sports equipment supplier in a breach of contract and fraud case. A focus of Art's current practice today also involves the representation of licensees in major disputes with enterprise database licensors, including serving as lead counsel on behalf of Mars, Incorporated against Oracle Corporation in the only publicly filed complaint against the software giant for its audit tactics and conduct. Art’s cases have involved significant damages in dispute, including monetary claims in excess of a billion dollars and equitable relief presenting existential threats to companies. By tactically deploying Daubert motions, and vigorously pursuing impeachment of adversaries’ damages experts at trial, Art has successfully contained and even eliminated damages claimed in cases where liability had been found. For example, in a breach of contract and fraud case tried to jury verdict in U.S. District Court in Portland, Oregon, Art pared down an asserted $18 million damages claim to $50,000. In 2018, Art was admitted as a Fellow in the Litigation Counsel of America, The Trial Lawyer Honorary Society. Art was recognized in 2019 as among America's Top 100 High Stakes Litigators for Northern California. In 2008, the Daily Journal named Art among California’s “Top Ten Patent Lawyers” in its first-ever listing of the state’s top intellectual property lawyers. Art was named in the 2014, 2015, 2017, and 2018 editions of Managing Intellectual Property’s IP Stars, recognizing his work on high-stakes matters throughout the United States. In 2002, Art won a jury verdict for the inventor in Gaus v. Conair, which was listed by The National Law Journal as one of the top 10 jury verdicts that year. He also has been named in Chambers USA: America’s Leading Lawyers for Business, where he was described in that publication’s inaugural edition (2003-2004) as an “outstandingly energetic and creative IP lawyer... (who) enjoys a national reputation.” Art has been selected for inclusion in the 2014, 2015, 2016, 2017, and 2018 issues of the Northern California Super Lawyer Magazine and has been listed in The Best Lawyers in America. 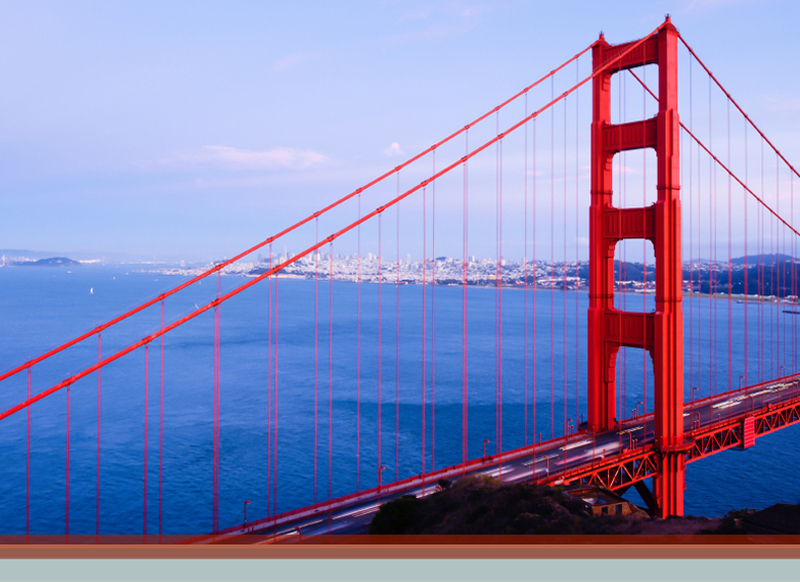 Additionally, Art has been recognized by Martindale-Hubbell as one of San Francisco's Top AV-Rated Lawyers. In 2014, Art received the Marc L. Fleischaker Pro Bono Award for Outstanding Contributions to the Public Interest related to his work for the protection and preservation of early 20th Century American art. Art was previously the managing partner of a global law firm’s Silicon Valley office, where he was also the chair of the firm’s Patent Litigation practice. In his spare time, Art keeps his trivia competition skills honed by regularly viewing Jeopardy (Art had been a College Bowl champion at Northwestern University). Art is also an avid runner and accomplished foodie. CollegeNet v. XAP (2006 jury trial; U.S. District Court, District of Oregon; patent infringement and Lanham Act claims; 3 weeks; won as lead counsel an $8.5 million jury verdict). CollegeNet v. XAP (2007 bench trial; U.S. District Court, District of Oregon; Lanham Act claims; one week; won as lead counsel a $4.5 million verdict, finding of willfulness and award of attorneys' fees). Gaus v. Conair (2002 jury trial; U.S. District Court, Southern District of New York; patent infringement claims; 3 weeks; won as lead counsel a $47 million verdict for inventor). Read v. Powerscreen (2000 jury trial; U.S. District Court, District of Massachusetts; patent infringement claims; 4 weeks; won as lead counsel a defense verdict on one patent and successfully appealed adverse verdict on other patent). Tigard v. Syntennico and Field Turf (2001 jury trial; U.S. District Court, District of Oregon, 2 weeks; breach of contract and fraud claims; won as lead counsel a defense verdict). Baden Sports, Inc. v. Kabushiki Kaisha Molten, 2008-1216, 2008-1246 (U.S. Court of Appeals, Federal Circuit 2008), wherein the appellate court overturned an adverse verdict involving patent infringement and Lanham Act claims against client Molten, the largest game ball manufacturer in the world. Dr. Harry Gaus v. Conair Corporation, 03-1295-1310 (U.S. Court of Appeals, Federal Circuit 2004), wherein the appellate court reviewed and considered estoppels issues under the patent laws based on language in a patent’s specifications. CSX Transportation, Inc. v. Chicago and North Western Transportation Company (U.S. Court of Appeals, Seventh Circuit 1995), wherein the appellate court reviewed and considered complex indemnity arrangements between railroads. Soo Line Railroad Company v. Hawker Siddeley Canada, Inc., 950 F.2d 526 (U.S. Court of Appeals, Eighth Circuit 1991), wherein novel issues of personal jurisdiction over an international corporation based on compliance with industry standards were considered by the appellate court. America West Airlines, Inc. v. GPA Group, LTD., et al. ; 877 F.2d 793 (U.S. Court of Appeals, Ninth Circuit 1989), wherein the appellate court considered novel issues related to jurisdiction over a foreign sovereign pursuant to the Foreign Sovereign Immunities Act. Louise Shivaya v. H.O.E.M., et al. (Superior Court of the State of California, County of Marin, 2016). Served as lead counsel for founder and frontman for progressive rock band Supertramp in privacy and breach of contract dispute. Mars, Incorporated, et al. v. Oracle Corporation, et al. (Superior Court of the State of California, County of San Francisco, 2015). Served as lead counsel for client Mars, Incorporated in software license and services agreement dispute. Tranxition, Inc. v. Lenovo, Inc. (U.S. District Court, District of Oregon, 2014). Served as lead counsel for client Tranxition, Inc. in patent infringement case involving software technology for migration of computer "personalities." Tranxition, Inc. v. Novell, Inc. (U.S. District Court, District of Oregon, 2014). Served as lead counsel for client Tranxition, Inc. in patent infringement case involving software technology for migration of computer "personalities." Local.com Corporation v. Fry’s Electronics, Inc. (U.S. District Court, Central District of California, 2012). Served as lead counsel for client Fry’s Electronics in defense of a patent infringement case involving an e-commerce technology. Caldera Pharmaceuticals, Inc. v. The Regents of the University of California, et al. (California Superior Court in San Francisco, 2012). Served as lead counsel for client Caldera in resolution of claims brought against defendants for breach of contract and fraud in connection with a patent licensing agreement. Shared Medical Resources, LLC v. Histologics, LLC, et al. (U.S. District Court, Central District of California, 2012). Served as lead counsel for client Histologics in defense of patent infringement case involving a medical device technology. Ultimate Pointer, LLC v. Sears, Roebuck and Co., et al. (U.S. District Court, Eastern District of Texas, 2011). Served as lead counsel for client defendants in defense of a patent infringement case involving gaming technology. Alto Ventures, Inc. v. Transera Communications, Inc., et al. (U.S. District Court, District of Nevada, 2011). Served as lead counsel for client Transera in defense of a patent infringement case involving a telecommunications technology. Fotomedia Technologies, LLC v. Insider Guides, Inc., et al. (U.S. District Court, District of Delaware, 2011). Successful dismissal as lead counsel for Insider Guides in a patent infringement case involving internet file-sharing technology. Rovi Corporation v. Alticast Corporation (U.S. District Court, Central District of California, 2011). Successful settlement as lead counsel for client Rovi, which brought claims for breach of contract, unjust enrichment, and fraud. Sendmail, Inc. v. Tumbleweed Communications (U.S. District Court, Northern District of California, 2009). Successful settlement as lead counsel for client Sendmail, Inc. in a patent infringement and breach of contract case involving e-mail firewall technology. Exergetic, Inc. v. Edison Mission Energy and Midwest Generation (U.S. District Court, Northern District of California, 2009). Successful settlement as lead counsel for clients Edison Mission Energy and Midwest Generation in a patent infringement lawsuit involving intelligent software relating to the efficiency of coal-fired power plants. Z-Line Designs, Inc. v. Planet 3, LLC (U.S. District Court, Northern District of California, 2009). Successful settlement as lead counsel for client Planet 3, LLC in a design patent infringement, trademark infringement, and unfair competition lawsuit involving ready-to-assemble furniture for use with televisions and stereos. Alexx, Inc. v. Charm Zone (U.S. District Court, Northern District of California, 2010). Successful settlement as lead counsel for client Alexx, Inc. in a patent infringement case involving key chain locators. Silberline Manufacturing Co., Inc., et al. v. Eckart-Werke GmbH (U.S. District Court, Eastern District of Kentucky, 2000). Successful settlement as lead counsel for client Silberline Manufacturing Co., Inc. in trade secrets dispute involving manufacture of aluminum flake pigment products for the automotive and plastics markets. "Responding to Aggressive Auditing of Technology Licenses," 30th Annual All Hands Meeting, Santa Clara, CA (October 16, 2018). Speakers: Arthur Beeman and Joel T. Muchmore. "Heard About Mars v. Oracle? Learn About Oracle Audits," VMWorld2018, Las Vegas, NV (August 29, 2018). Panelists: Arthur Beeman and Joel Muchmore. "Preparing For (and Surviving) Your Oracle Audit," Crowell & Moring Webinar (February 1, 2018). Speakers: Arthur Beeman, Joel T. Muchmore, and Belinda Liu. "Insights Into Oracle’s Licensing and Auditing Script," Intellectual Property Owners Association IP Licensing Committee (December 14, 2017). Speakers: Arthur Beeman and Joel T. Muchmore. "Preparing For (and Surviving) Your Oracle Audit," Crowell & Moring Webinar (November 16, 2017). Speakers: Arthur Beeman, Joel T. Muchmore, and Belinda Liu. "Learn About Oracle Audits from the Experts & Attorneys," VMWorld Conference, Las Vegas, Nevada (2017). Speakers: Arthur Beeman and Joel T. Muchmore. "Strategies for Going Forward From Both Sides of the Docket: Plaintiff’s Side," 5th Annual Advanced Patent Litigation Course, Texas State Bar, Lake Tahoe, CA (2009). Speaker: Arthur Beeman. "Effective Management of Patent Litigation," West Coast General Counsel Conference, San Francisco, CA (2008). Speaker: Arthur Beeman. "Developments in the Federal Circuit," Pharma/Biotech IP Due Diligence Summit, San Diego, CA (2008). Speaker: Arthur Beeman. "Reexamination of Patents During the Course of Litigation," ACCA, CLE 2007 Spring Training, San Francisco, CA (2007). Speaker: Arthur Beeman. "Hate Speech and Free Expression Rights," Lockhart Institute course, Charles University, Prague, Czech Republic (1995). Speaker: Arthur Beeman. "Monopolizing The Disruptive: The Federal Circuit's Threat To Software Innovation In Oracle v. Google," Intellectual Property Strategist (April, 2019). Author: Arthur Beeman. "Intellectual Property – Taking IP in New Directions," Crowell & Moring's Litigation Forecast 2019 (January 9, 2019). Contributor: Arthur (Art) Beeman. "INSIGHT: Understanding Your Oracle/Java License-Not Everything Is As It Seems," Bloomberg Law (September 18, 2018). Authors: Arthur Beeman, Joel T. Muchmore, and Molly A. Jones. "The Oracle Audit: Lessons From The Only Licensee Suit," Law360 (November 15, 2017). Authors: Arthur (Art) Beeman, Joel T. Muchmore, and Belinda Liu. "Death, Taxes and the Oracle Audit: How to Prepare," Corporate Counsel (May 2017). Authors: Arthur Beeman and Joel T. Muchmore. "The Oracle Surprise," IP Magazine (May 2017). Authors: Arthur Beeman and Joel T. Muchmore. "Alice Approaches its 3-Year Anniversary: Uncertainty Wanes, but Troubling Questions Linger," Westlaw Journal Intellectual Property, Thomson Reuters (April 2017). Authors: Arthur Beeman and Joel T. Muchmore. "How The 'Read Factors' Can Help Software Companies Post-Halo," Law360 (September 2016). Author: Arthur Beeman. "The Cloud Is Not Falling: A Rational Read Of Aereo," Law360 (August 2014). Authors: Arthur Beeman and Joel T. Muchmore. "Are Trade Secrets the New Patents?" ALM and The Recorder, General Counsel Conference, San Francisco, CA (2014). Author: Arthur Beeman. "Trade Secrets & The Cloud," ALM and The Recorder, General Counsel Conference, San Francisco, CA (2013). Author: Arthur Beeman. "Jury Decision in CollegeNET, Inc. v. XAP Corporation Expands Application of the Lanham Act to Internet Companies," Internet Law (2008). Author: Arthur Beeman. "Juries and Patent Cases: Effective Presentation of the Inventor’s Case to the Jury," IP Litigator (2006). Author: Arthur Beeman.